Petersborg is located in an old Danish village, Høsterkøb. In Høsterkøb you really feel you are in the country side - and you are - but this is only 20 km north of Copenhagen and just 30 minutes in a taxi from Copenhagen Air Port. Petersborg is an old farm established back in the end of the 1600. For years Petersborg belonged to the Royal Family under the Danish Queen Sophie Magdalene, but since 1735 it has been privately owned. Since 1974 Petersborg has belonged to our family and in all these years horses have been a central part of the activities at Petersborg. 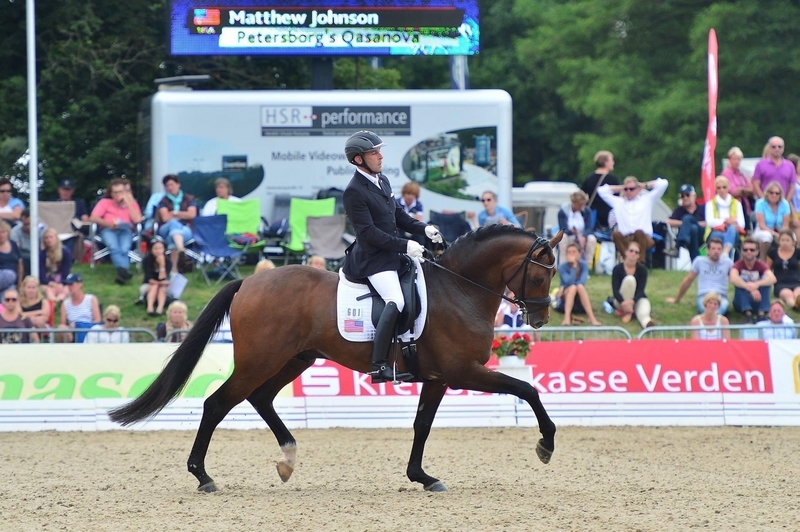 Since 1997 Jannie and Henrik Groot have been running Petersborg with a combination of Danish Warmblood Breeding & Sales and horse stabling. Henrik has been living on the farm since the age of 4 and has always been interested in horses. Jannie has been competing first in showjumping and since as a dressage rider. In recent years most of her time has been spend as a breeder as well as a coach for our children Emma and Katrine who both are very engaged and ambtious riders. Jannie is engaged in arranging dressage competetions as well as beeing very dedicated to the Danish Warmblood society and helping out with their events. 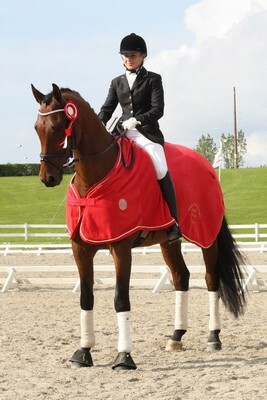 Rider Louise Estrup and Petersborg's De Luxe: Winner of the Danish Warmblood Young Horse Test in region 1 in 2008!